This LED moon light will look perfect on a desk, in the den or in a child's bedroom. With changeable LED lighting and accurate topography the moon light looks fantastic. Adults and kids alike will love this lamp. 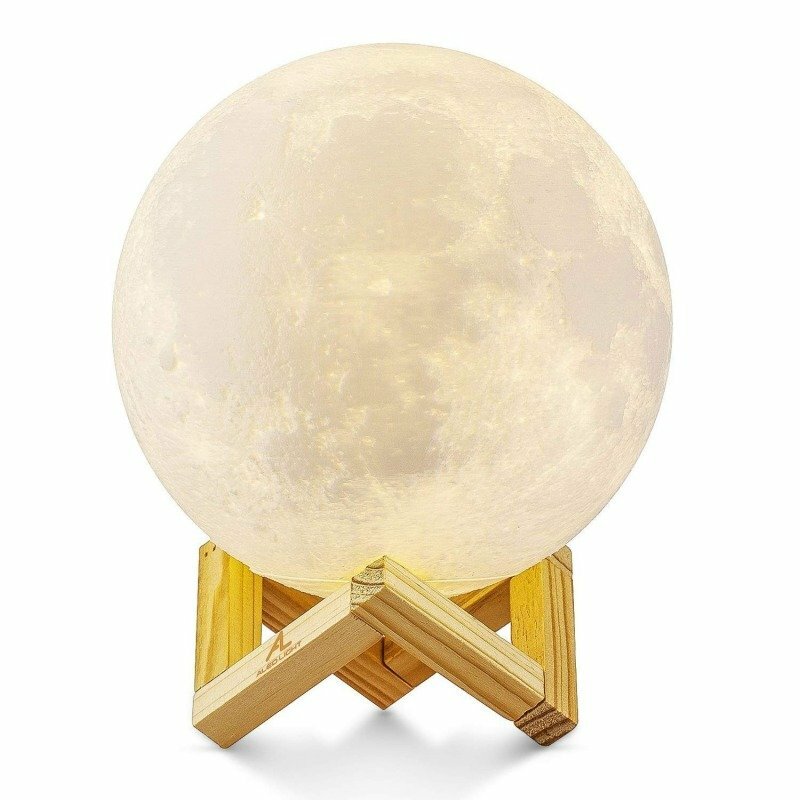 Put the moon lamp on your desk and feel the stress float away. You can control the brightness so whether you're working late or just chilling with a bottle of wine the moon lamp provides the perfect backdrop. But it's equally effective as a child's nightlight. Especially if the youngster is into space and NASA. Whatever their age kids won't quibble about the light being turned off when the moon lamp is switched on. The moon lamp sits on its own wooden stand and its colour is changed by a simple touch switch on the underside of the lamp. Colour options are cool white, warm white and golden yellow. Just touch the switch to change colour or to turn the moon lamp off. Holding the switch will increase or dim the brightness. The moon lamp is charged via the supplied USB cable. It'll take around three to four hours to fully charge the lamp. Once fully charged the lamp will work for three to six hours depending on the brightness you select. You could of course choose to keep the moon lamp permanently connected to a PC or socket with USB slot if you prefer.